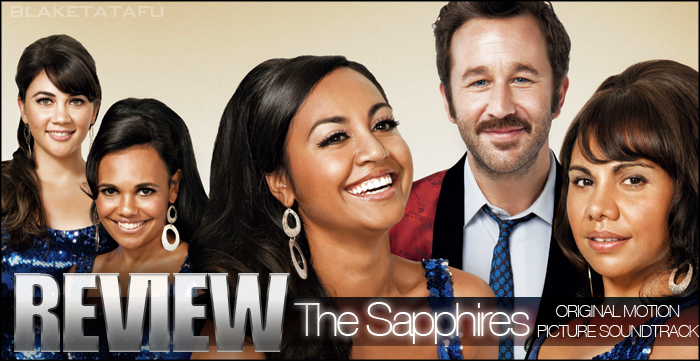 When holding The Sapphires: Original Motion Picture Soundtrack in my hands tonight I felt a surge of pure Motown energy, this being from all the bits and pieces of previews of this upcoming Australian movie which boasts an exquisite array of home-grown talent. The Soundtrack, completely delivers in the same fashion. 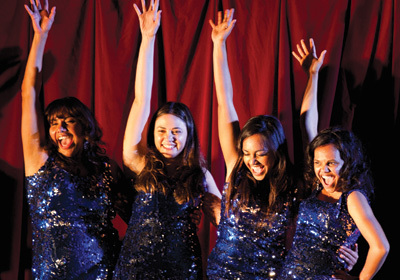 The album has Australian pop sweetheart Jessica Mauboy leading 7 of the 16 tracks, which includes her new single 'Gotcha', which is just a taster of the classic, smooth sounds of 'The Sapphires'. If Miss Mauboy wasn't enough talent on one CD, try adding classic R&B legends Sam & Dave with the sassy trio, The Emotions with a twist of rock from Creedence Clearwater Revival completed with more wholesome Australian talent from Lou Bennett, Juanita Tippens, Jade Macrae and talent show 'The Voice''s favourite, Darren Pericival. If you're not impressed, you're on the wrong page! As if counting into the album beginning the long awaited anticipation for the soundtrack, Mauboy opens up with 'Land of A Thousand Dances' (made famous by Wilson Pickett) shouting and singing '1-2-3!' in an echo of power bringing listeners into a retrograde era of the swingin' 60's. Fans will be impressed with the invigorated and refreshed Mauboy, showcasing a new side to her diversely talented voice, especially on 'I Heard It Through The Grapevine' which shows her inner diva, as if she were channeling the power of a Motown goddess. Whilst on a upbeat high, the soundtrack gives the ladies a forefront spotlight in 'What A Man', a anthem of cheer and the moves of bump and grind. Classic favourite 'I Can't Help Myself' with the infectious chants of "Sugar Pie, Honey Bunch" will keep your feet moving or tapping which gives everyone the opportunity to sing to their loved ones in the melodies reminiscent of the 1960's, which was all about love. Subsequent tracks 'Who's Loving You' and 'I'll Take You There' continue the flow and essence to the subject of love. Jessica Mauboy should be commended however, that her versions contain talent, either matched or to surpassed of The Temptations, En Vogue and even The Jackson 5 - all of which made 'Who's Loving You' a crooning tune never to be forgotten. Breaking up the trend of girl power in the first half of the album, the duo of smooth passion and soul, Sam & Dave provide the catchy, boppy tracks 'Soul Man' and 'Hold On! I'm Coming'. The two tracks definitely show listeners how many of the current artists with classical flair are inspired from legends such as Sam & Dave. Adding to some man power, legendary rock band Creedence Clearwater Revival feature with their famous track 'Run Through The Jungle' which both sticks out yet blends in on the Soundtrack. This track lends the essence of rock of the 1960's and early 70's, which was also a dominant genre favourited all over the world. 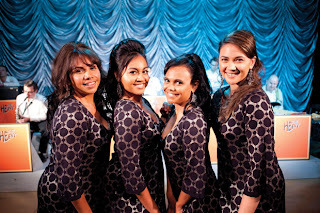 The latter part of the Soundtrack brings the music back home, with the talent of Jessica Mauboy, Juanita Tibbens and Jade Macrae on the Country-Western harmonic ballad 'Today I Started I Loving You Again' which will bring the sense of being home to Australians brought up with this fusion of three beautiful voices on a Country-Western track. Juanita Tippens shines on the track 'People Make The World A Better Place' which sounds of her soul poured out into the emotion of the song, which judging from The Sapphires trailer, will be Deborah Mailman's character Gail's signature song and moment on stage (in the film). Diversity seems to be the soundtracks feature, as folk song 'Yellow Bird' is delivered by Lou Bennett and Jessica Mauboy. Such a beautiful, stripped down track, the two slow down the energy and focus on serenading listeners with their dual harmonies. Representing the Yorta Yorta people, Mauboy, Tippens, Macrae and Bennett come together on 'Ngarra Burra Ferra' a traditional Yorta Yorta gospel song, which was Mauboy's first time singing in traditional language. This song's beauty makes you want to cry. Such a beautiful language with the harmonies to intensify the cultural beauty of the song and of Aboriginal culture. Such a highlight on the album. The last two tracks 'Shouting Out Love' and the smartly placed 'The Sweet Bye & Bye' by The Emotions and Darren Percival wrap the album up on a high with two 60's infused songs, yet different from each other. I was particularly impressed with the Soundtrack as a whole as it had everything that the era could offer in music. Jessica Mauboy rose above the current stagnant pop trend and experimented with amazing classics and trademarked them with a refreshing taste. I am even more excited with the film and to be able to sing along (quietly of course) with the crowd at the premiere of the film August 2 in Melbourne. 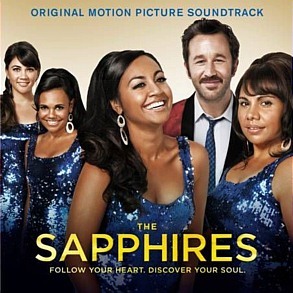 The Sapphires: Original Motion Picture Soundtrack is out now! The film will be released on Thursday 9th August at all major cinemas. It’s been a while since I have written a blog post, or even looked at my blog for that matter. What made me decide to re-visit writing again was my first love of music; Mutya Keisha Siobhan. If you’re reading this from either my Facebook or Twitter – you would know that I at least talk about this trio every week about how incredible/talented/beautiful they are. Well I wanted to write down my personal thoughts about them, which will hopefully answer some ambiguity around why I like them so much. I've decided as a big fan (I'd like to say the biggest) it would be beneficial in the future to compose a diary of Mutya Keisha Siobhan's activities, ranging from appearances, performances, photo shoots, song leaks/premieres and video uploads since their return to music in 2012. I will continue to update this blog post each time something official happens.